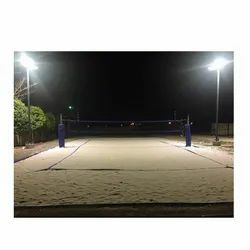 Our product range includes a wide range of areamaster flood light, volley ball court lighting, fld-flood light, emergency flood light and street lights as connected and multi-sensory gateway. The Areamaster Flood Light Is Designed Specifically For Industrial Applications Which Require High Performance, High Reliability, White-light Illumination. Using Lokozo’s Field-proven, Long-life Led Technology, Areamaster Floodlights Are Suitable For A Wide Range Of Industrial Applications. Volleyball court lighting differs on whether the court is indoors, on beach, grass or sand. Light and lens size, accessories and reflectors vary accordingly hence it is very important to install proper lighting courses for the players to be able to see the ball and the lines and to give the best shot and also for the audience to be able clear vision. 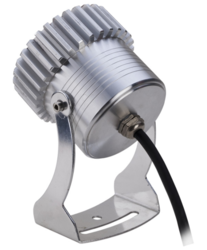 FLD LED-FLOOD is a LED-based floodlighting luminaries for general purpose area lighting. It delivers significant energy savings compared to conventional floodlights. With a choice of symmetric or asymmetric beam and of colour temperature, as well as a universal mounting bracket for easy angle adjustment, flexibility in application is assured. 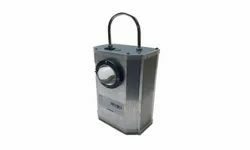 FLD LED-FLOOD is a LED-based Emergency floodlighting luminaries for general purpose area lighting. It delivers significant energy savings compared to conventional floodlights. With a choice of symmetric or asymmetric beam and of colour temperature, as well as a universal mounting bracket for easy angle adjustment, flexibility in application is assured. Using the newest LED technology, the 30W battery powered LED Flood Light puts out the same amount of usable light on your work site as a 300W halogen, without needing to be plugged in. The battery powered LED Flood Light is a truly bright floodlight that will illuminate an entire scene and doesn’t require bulbs or a power cords which provides a safer work environment, increases efficiency and saves money. 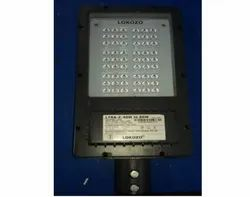 Useful information is collected from the street light at the end of each day this information is stored in a database and based on this information charts are derived. 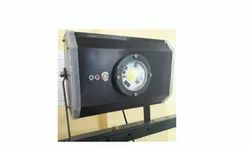 Looking for Industrial Flood Light ?